November’s Tweetup will be held at Vinnie’s Italian Beef and Gyro’s at 3208 Ivanhoe Ave. 63139 on November 25th (4th Tuesday of November). If you’ve never been to a Tweetup, this is your last chance to join us this year for our final big holiday Tweetup bash! 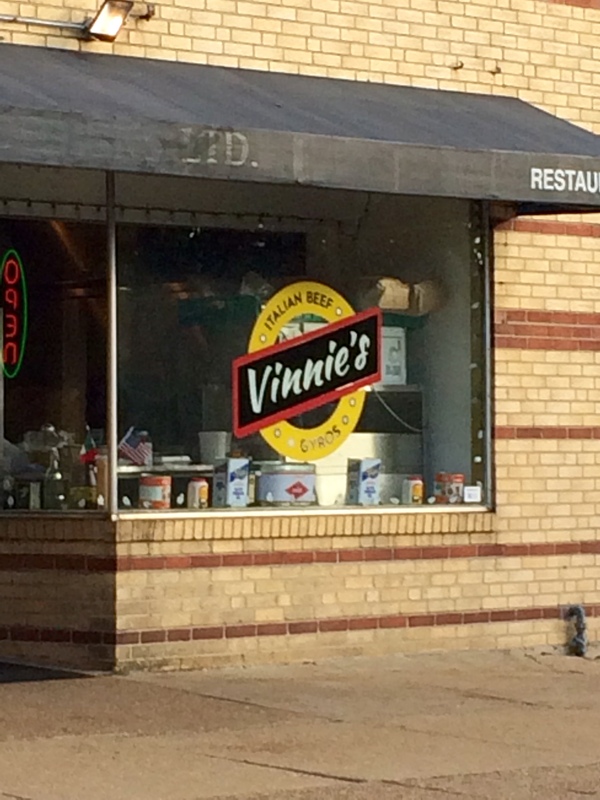 If you’ve never eaten at Vinnie’s here’s your chance to try their wonderful food. Come and support a great new local restaurant and have fun with your neighbors in the process. Vinnie’s does not sell liquor, but don’t panic because beer will be provided FREE of charge. When we run out, that’s it! You are more than welcome to bring your own beer/wine and I’m sure that people will be sharing with friends. Vinnie’s will be able to keep your beer/wine on ice for you! If you’d like something different to drink, there is always Muser’s Bar next door to Vinnie’s and Babe’s Tavern across the road. Be sure to ask for a “to go cup” for your beverage. A Tweetup is a fantastic way to get to know your fellow Lindenwood Park residents. Many new friendships have been formed and many people have had a great opportunity to network with other local business owners, as well as with our Alderman, Joe Vaccaro and with our Neighborhood Improvement Specialist, Annette Bridges. If you don’t already know, a Tweetup is just a buzz word for a happy hour! I would like to take this opportunity to thank everyone who has attended the Tweetup’s over the last 3 years. Without your attendance and contributions we wouldn’t have a monthly FUN social event. I know many people look forward to it every month and really miss it when they are not able to attend. Thank you to the restaurants who have hosted our Tweetup’s and done a fantastic job of making sure that we have everything we need and are so friendly and helpful – Tweetup’s work as a great referral for our local restaurants. Major thank you’s to Joe Vaccaro who attends every Tweetup (we were even able to give him a very brief lesson on how to use Twitter at one Tweetup – follow him @Aldermanjoe). Joe goes out of his way to attend them and has always been more than willing to donate appetizers, drinks, whatever we request. This does not go unnoticed nor unappreciated. Thank you to Annette Bridges who has been wonderfully instrumental in answering so many questions and helping with many problems in our Ward. Happy Holiday’s everyone! Stay safe and stay warm. Hope to see you at Vinnie’s on November 25th!